Of the top 10 hardest-hit zip codes in the country for negative equity, nine are located in metro Atlanta. 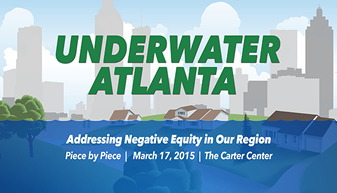 The hardest hit zip code in the country is in Clayton County where a staggering 76% of homeowners are underwater. In this Clayton community, 89% of homeowners are African American. The impact of negative equity is even more significant given the fact that home equity accounts for 92% of personal net worth for the typical African-American household. | FULL EVENT DETAILS, AUDIO, ETC. Join us as we share news, information, best practices, issues and concerns that impact the housing counseling community.